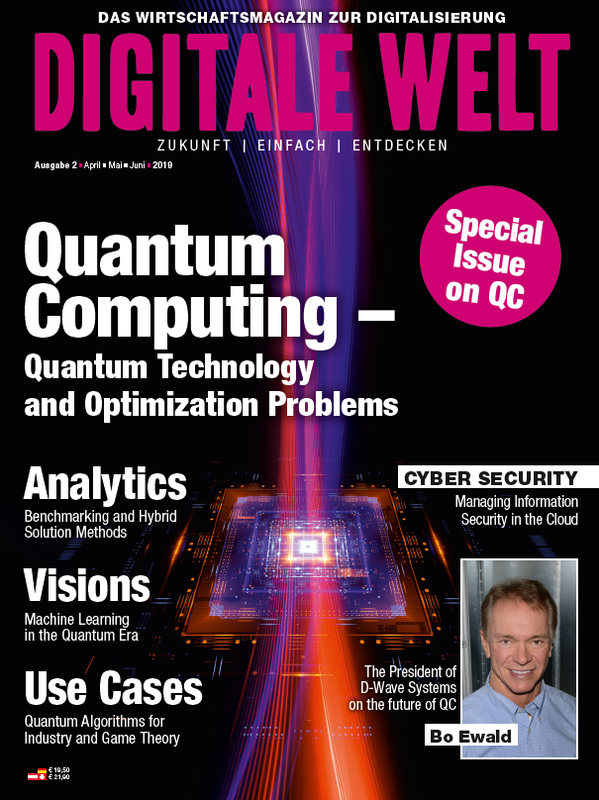 Recent developments in quantum hardware for optimization and general purpose quantum computing prototypes as well as application software have propelled quantum computing from a theoretical concept into a tangible computing option for enterprises—one with the potential to deliver business value by solving difficult subsets of problems based on a fundamentally different set of rules. This year on January 8th 2019 IBM announced the first commercially available universal quantum computer on-premise solution housing 20 qubits. This provides a major step in releasing complex prototype systems, which use chambers as cold as outer space, microwave frequency control electronics and high-tech nano-fabricated chips from their flat-size laboratories, which require extensively trained physicists for maintenance and operation, towards an on-premise solution in your data center. Specific hardware for optimization purposes known as quantum annealers have been announced already in 2011 by D-Wave Systems and reached 2000 qubits today. 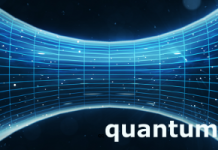 At the current stage the gate quantum computer solutions with high quality qubit operations do not provide the capability of solving practical problems but yield the potential of surpassing supercomputers in processing power for a class of sampling problems, that describe the outcomes of random processes in nature. Reaching this milestone is an important step in this era of noisy intermediate scale quantum computation, which is characterized by having access to a few dozen to hundred qubits running hundreds to thousands of operations without errors. This sets the stage for finding approximate solutions to a variety of hard problems. This process is driven by initiatives of global companies and scientific institutes like Google and NASA. Quantum annealers on the other hand trade-off a larger number of qubits at the cost of lower operation quality and a more granular control of the system parameters to solve intermediate scale instances of a specific problem class (so called quadratic binary optimization problems or QUBO) with hundreds to thousands of variables. These developments raise vast discussions contrasting enormous theoretical potential with uncertainties in predictions of the developments in technology maturity. It is imperative to prepare for different possible outcomes of this Hilbert-space race. The first step towards a quantum strategy is a sound introduction to the capabilities, potential advantages and tools in quantum computing. The next step is the identification of business areas, where quantum could yield a business advantage and the assignment of an employee to monitor the trends reporting monthly to hold up with the developments in the field. The quantum potential may only be leveraged, when there is expertise in understanding the structure of the problems that limit business activities in the identified areas and finding quantum approaches that could tackle those limits. Only after this ideation and analysis endeavors the next step of running business experiments enables to build know how in quantum application development and supports predictions on the impact of future hardware developments by using quantum simulators or typical cloud access solutions. With these experiences the strategic roadmap can be funneled into a more specific timeline for how the use cases scale with quantum computing improvements and selecting the most promising. 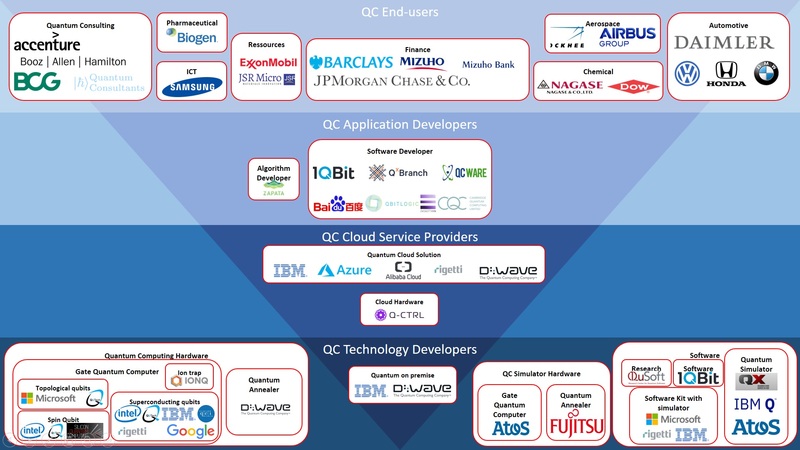 A large ecosystem has already formed to support this incubation journey in providing hard- and software for quantum computing applications. Quantum computer mainframe providers typically provide an interface including instructions sets that define qubit specific electrical control signals and higher-level programming languages that accumulate operations on qubit registers to subroutines (e.g. addition circuits) as well as high level optimization algorithms like solvers for QUBO problems, while giving cloud access to the quantum hardware backend via web protocols. At the highest level modern web frontends allow for an intuitive user interface that enables the usage by end users without the necessity of understanding the underlying rules of quantum mechanics or programming. A survey of more than 5,400 business and IT executives established that 40 percent of respondents are taking proactive steps to prepare for quantum computing, with 36 percent planning to invest in quantum capabilities in the next two years. In several fields first proof of concept applications emerge from a sea of use case ideas, that point out promising directions driven by partnership initiatives between business-end-users, hard- and software-providers as well as research institutes. In this article we will focus on the financial services, life sciences and supply chain applications. Choosing assets from a portfolio of 60 assets already yields a higher number of options than there are atoms in the known universe. Significant competitive advantages could be achieved if the value of those portfolios could be efficiently calculated and the best combination of assets identified. Algorithm concepts exist that predict advantages for portfolio valuation and optimization yielding a competitive advantage, when a larger amount of possible next-day scenarios can be covered to yield precise predictions or intra-day valuations finish before the competitor establishes his numbers. As one example IBM provides software development kits to build algorithms on the quantum register level and functions for the valuation of a series of payments. First movers are the Royal Bank of Scotland, Goldman Sachs, and Citigroup have funded quantum computing startups directly. Barclays and JPMorgan Chase have been experimenting with IBM’s quantum computing technology joined the IBM Q Network. Morgan Stanley articulated the bank’s hope of speeding up portfolio optimizations like Monte Carlo simulations with the help of quantum computing. The idea to build a quantum computer coined by Richard Feynman originally resides on the pain that physicists had with efficiently simulating quantum systems. A prime example is the prediction of material properties be it a slice of silicon or a molecule. Pharma companies invest billions for trials, which would drastically reduce if one could predict the chemical properties in advance and estimate the influence on the human physiology. As a leading biotech company, Biogen is seeking to advance the development of new drugs for neurological and neurodegenerative diseases. With the price reductions chances would increase to find a live saving drug. Biogen has teamed up with Accenture Labs and 1QBit, a quantum software startup, to speed up the discovery of new drugs. The quantum molecular similarity method is a repeatable solution which can be further customized to a specific client’s needs. Amgen, a biopharmaceutical company, is using quantum computers for molecular simulations. IBM has recently shown the potential of quantum-based computational chemistry with the simulation of a BeH2 molecule (beryllium hydride) paving the way for simulations of more complex molecules that could help in reducing energy consumption by discovering new catalysts for fertilizer production ( 3% of the world energy consumption). The ultimate goal of a driverless supply chain, where all aspects of end-to-end activities – planning, sourcing, production, logistics, services, and the ability to respond to risks with rapid replanning – are optimized for a single global objective across an organization frees disruptive potential to shifts the automotive industry further towards mobility services and drives innovation initiatives: The Volkswagen Group is the world’s first automaker which publicly used quantum computers, further expanding its digital competence for the future. In this context, Volkswagen Group IT is cooperating successfully with leading quantum computing company D-Wave Systems on a research project for traffic flow optimization. VW CIO Martin Hofmann said in a recent interview with automotiveIT that quantum computers have “reached a stage where it becomes interesting to start developing use cases.” He cited one project involving publicly available data from Beijing taxis that were used to plot optimal routes. “We were trying to prove that a particular traffic optimization problem could be addressed with a quantum computer,” he said. These are a few examples on building quantum-ready applications, which show how businesses can start innovating now by accessing existing commercial quantum computing capabilities through newly available quantum hardware platforms and software applications by leveraging teams with industry experts, advanced analytics and quantum computing specialists. Several more industry prototypes will be presented at IBM Think (February 12.-15.). In tight cooperation these low fidelity proof of concepts can be established on the time-scale of weeks to months limiting the investment and yielding insights on the execution of further quantum programs. Companies that join these first movers and start their quantum computing incubation journey now will be best positioned when the emerging technology reaches maturity. 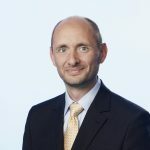 The Author: Matthias Ziegler leads Accenture`s Emerging & Growth group in Austria, Switzerland, Germany and Russia which helps bring emerging technologies to the business world. Current focus areas include Artificial Intelligence, Blockchain, Extended Reality, Application Security and Quantum Computing. He graduated in Computer Science at the University of Würzburg and completed his PhD at the Technical University of Munich in Geographical Databases. 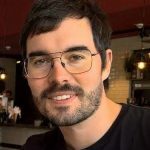 The Author: Tim Leonhardt works as Quantum Computing Lead ASGR for Accenture within the Emerging & Growth group to identify and consult on go-to-market strategies and deliver quantum computing applications. Previous to his time at Accenture, he gained 5 years of experience in silicon gate quantum computing as research assistant and educator. He holds a double major in physics (M.Sc.) and economics, business andmanagement (M.Sc.) from RWTH Aachen.